We have reached our bid deadline and the seller is reviewing the bids received. Please contact the event manager for additional information. Thank you bidders for participating in this auction. If you did not bid on this auction but would like to be informed of future auctions like this one, click on the Search Auctions button below, set the search criteria and save the search. The tract has ±2,125 acres of unrestricted timberland and good access, as well as interior access roads/trails. There are also "In Holding Parcels" within the boundaries of the property (±279 acres) which are parcels of land that are owned by third parties. 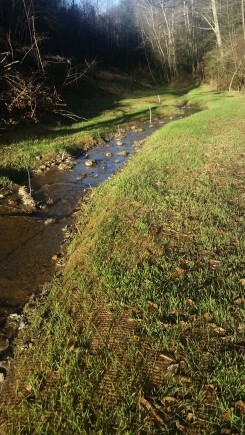 The deer and wildlife populations are thriving due to the recent restoration work done by the property owner. 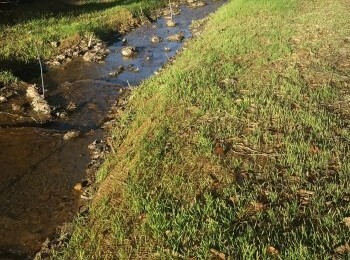 * Stream Mitigation Bank – A stream mitigation bank is the restoration of stream and associated riparian buffer areas by a private company to generate credits certified by the Army Corps of Engineers that can be purchased by third parties to offset expected adverse impacts from development projects to similar nearby stream ecosystems. ** Conservation Easement – A conservation easement, or deed restriction, is a perpetual restriction placed on a piece of property to protect the land and its resources for future generations while allowing owners to retain many private property rights. 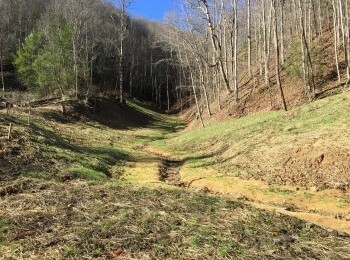 On this particular property, the conservation easement protects the stream restoration work that was done and ensures the conservation area will remain in its natural condition in perpetuity. The landowner is allowed to use the property in the conservation area for any purpose that does not conflict with the conservation easement. Activities that are not permitted within the conservation area include building structures or roads, changing the topography of the land, commercial tree harvesting, and agricultural activities.